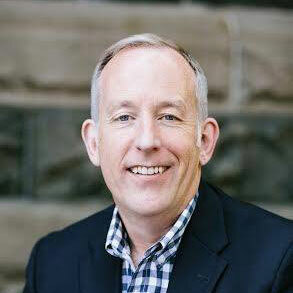 Mike Marshall is an American, non-profit executive with 30 years of political campaign, civic engagement and advocacy experience at the national and international level. The confluence of his career now allows him to advise civic organizations around the world on the strategies needed to achieve seemingly impossible goals. A graduate of the University of California, San Diego, Mike spent the early years of his career learning grassroots organizing within the ranks of the Democratic Party. He worked at the presidential, congressional and city council levels to elect progressive policy makers by marrying modern technology with grassroots organizing. When the Berlin Wall came down, the National Democratic Institute (NDI) recruited Mike to travel to Romania to build a national civic participation organization, Pro-Democracy Association, that helped insure that country’s first free and fair election. He has since traveled to more than 25 countries on behalf of NDI to assist in the creation of election monitoring, voter education and civic engagement organizations, as well as to advise political parties on winning campaign strategies. In 1999, Mike played a leading role in the creation of the marriage equality movement in the United States, culminating in a national victory 15 years later. As a consequence of the national impact of his leadership, OUT Magazine identified Mike as one of the top 100 most influential gay Americans. In subsequent years he led critical campaigns for change that fought to end the HIV/AIDS epidemic, promote urban greening and demand environmental restoration. Upon arriving in Oregon in 2013, Mike served as Campaign Manager for Oregon United for Marriage and then successfully stewarded Governor Kitzhaber’s 2014 reelection campaign. Most recently, Mike served as Executive Director of the City Club of Portland, one of the oldest civic engagement organizations in the United States. Today, Mike lives in northeast Portland with his husband Rob and their hound, Ava. As a volunteer he has served on numerous advisory boards including Friends of the Urban Forest, the Northern Ireland Community Foundation, the San Francisco Public Utilities Commission Advisory Board and the Salvation Army Women’s Emergency Shelter in Portland. Mike is profoundly grateful for more than 10 years of continuous recovery from the disease of addiction.